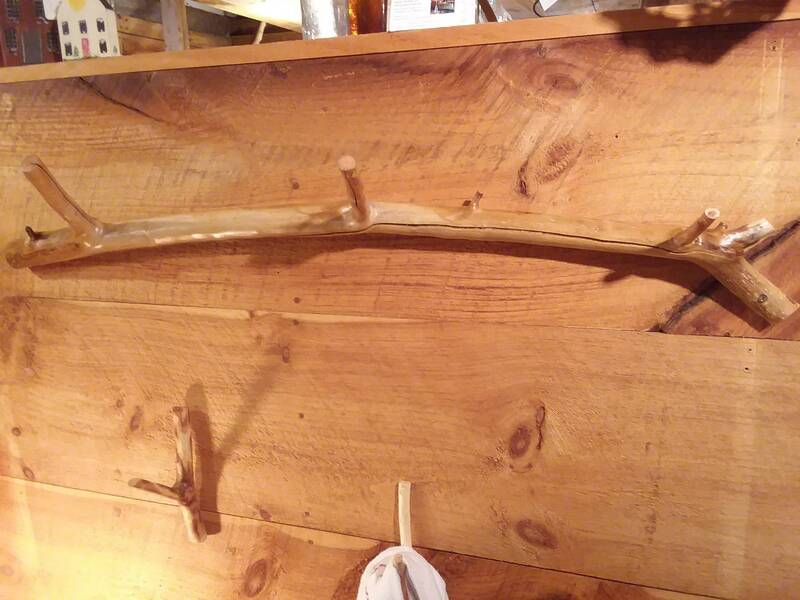 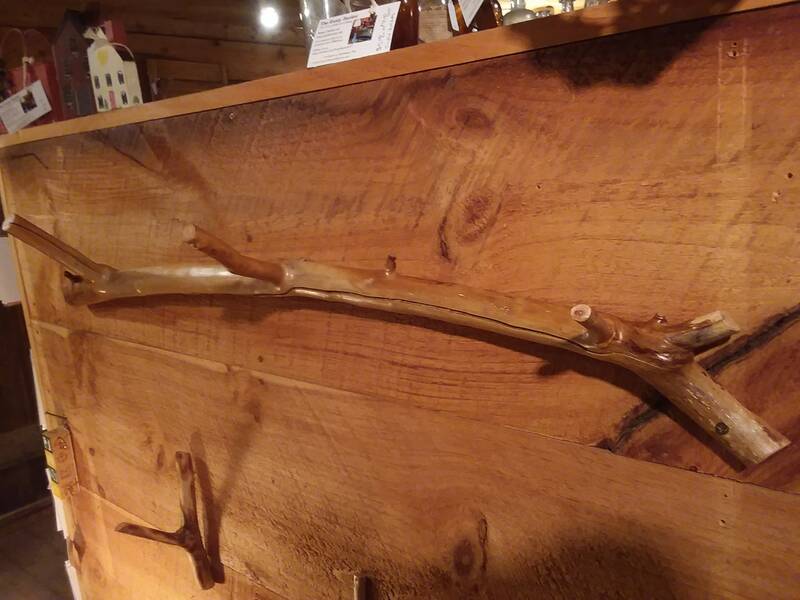 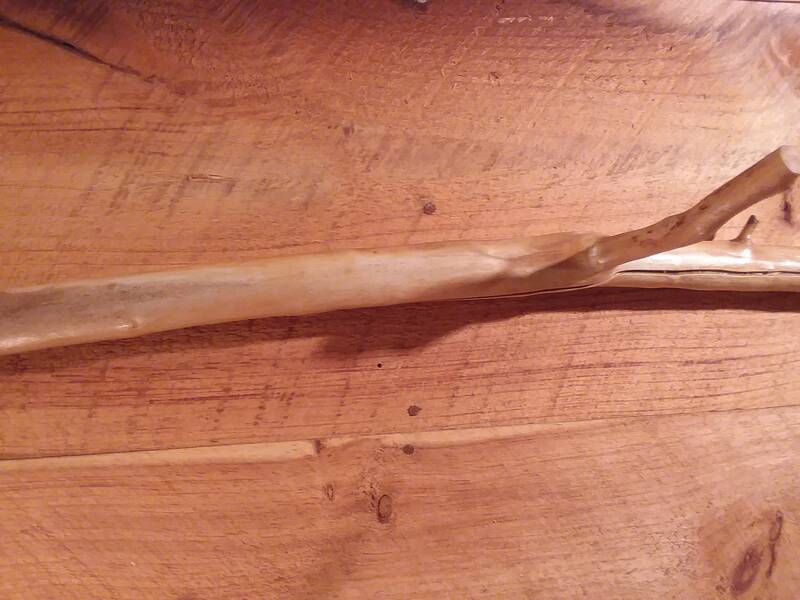 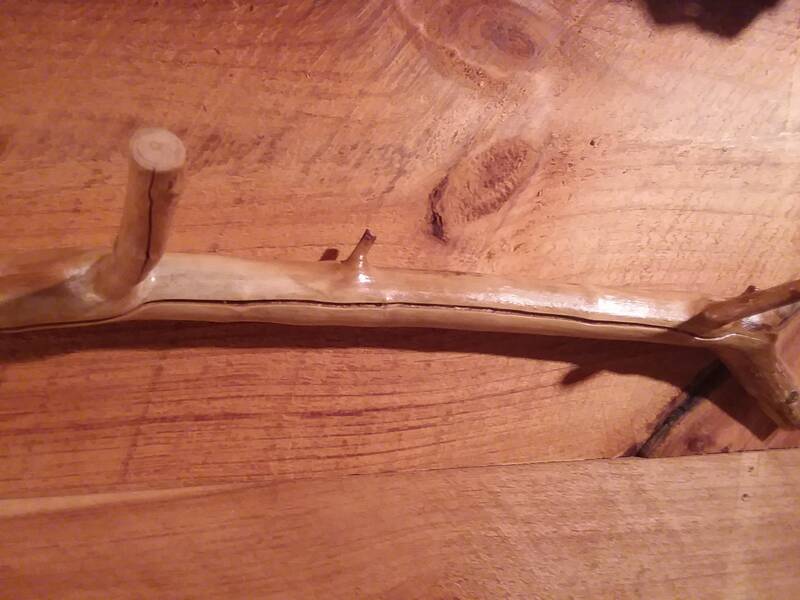 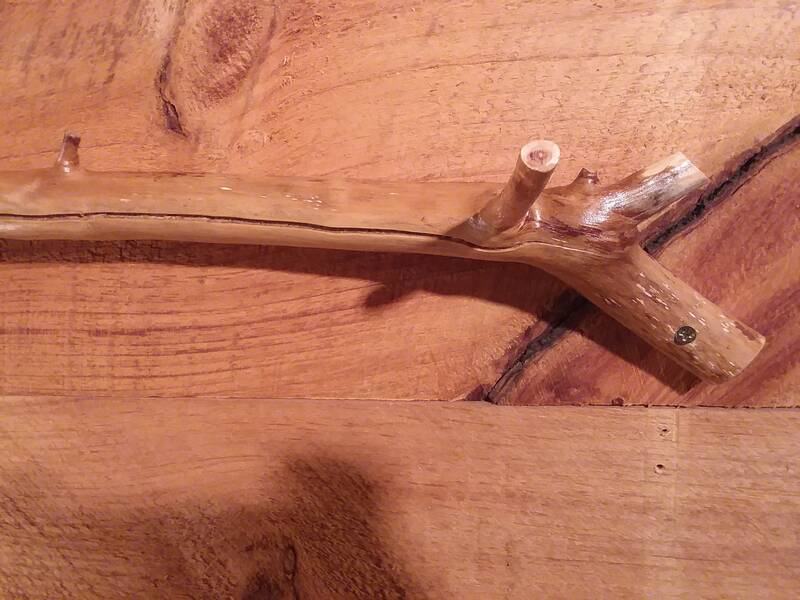 Hand Crafted from an apple branch from a tree in my orchard. 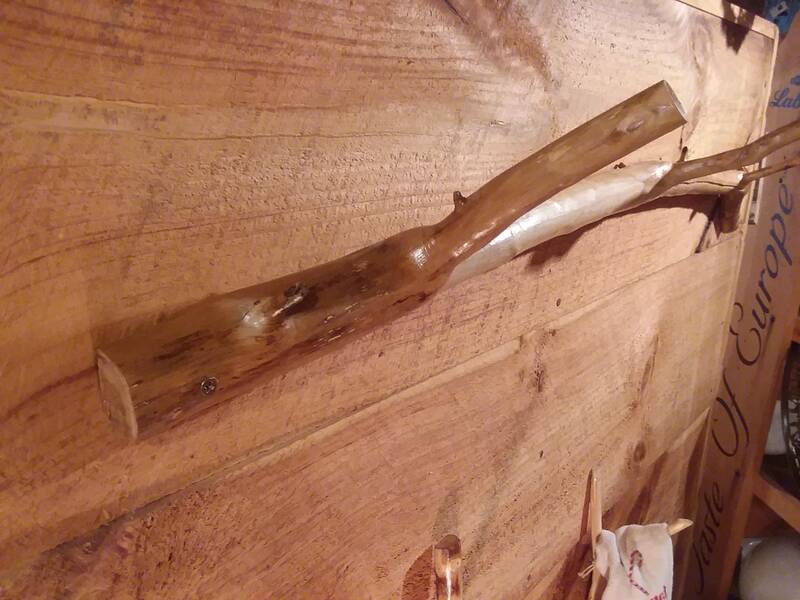 It has 3 large branches for hanging your coat's and 3 small branches for hanging hat's and scarves. 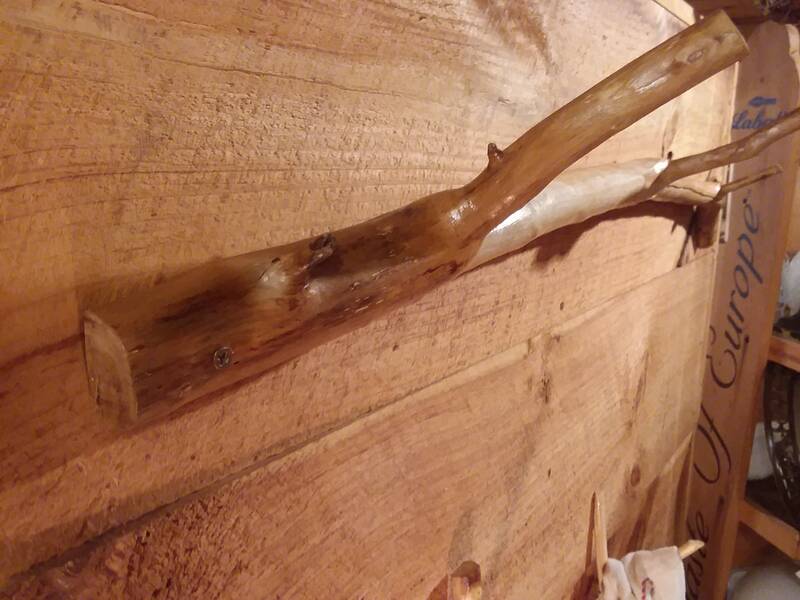 The tree limb is light brown with striations of dark brown throughout. 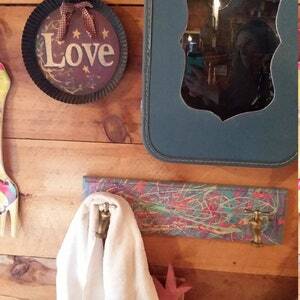 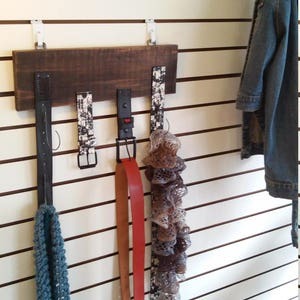 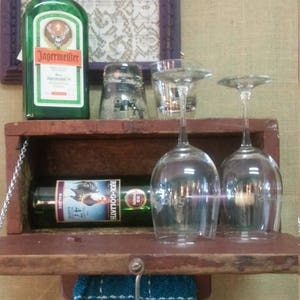 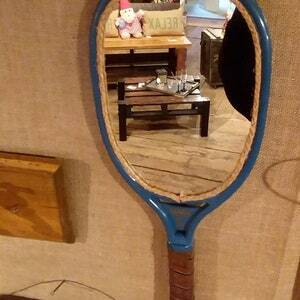 Great for an entry way, bathroom, kitchen or even a garage.